Sandra Moon Dancer B.Sc., M.H.Sc. 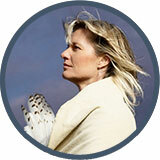 Sandra Moon Dancer is an internationally acclaimed shamanic energy medicine teacher, inspirational speaker and energy healer with over thirty years experience in healing and health care communities. She founded the Centre of Circle Wisdom in 2003 as a progressive community space designed for individuals and families to connect with their spiritual path and Mother Earth. In 2013, Jesse-Blue Forrest - Walking Thunder, peace activist and visionary, invited Sandra Moon Dancer to walk with him, to retrace Mahatma Gandhi's footsteps in the Salt March in India for the movement of non violence -- her voice being for non-violence for women and children. Since then she continues to work with peace visionaries internationally. She is travelling with Circle Wisdom to Malta for Fall Equinox 2019 and returning to Iceland soon with the focus of international peace. The Centre of Circle Wisdom is based in Toronto where you can find your feet on the earth while honouring our place in the city. Whatever your lifestyle, whatever your story, whatever your desires for the future, Circle Wisdom welcomes all community members to our retreats, workshops, celebrations and personal healing sessions. Programs at the centre include: Energy Medicine Program; Sacred Site Travel; Wisdom Circles; Full Moon Circles; Tribal Children Camps; Goddess Girls Camps; Medicine Wheel Retreats and Pipe Ceremonies with Cherokee-Celtic elder Walking Thunder. All programs support individuals, families and communities in connecting with their soul's path. Dance the Life Energy with Sandra Moon Dancer. Caylie supports at the Centre of Circle Wisdom. She is also our Camp songstress and Teacher at our Tribal Children's Camps. 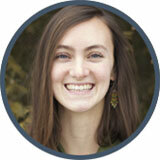 Caylie is currently enrolled in her 8th year at the Circle Wisdom Energy Medicine Program. She is a singer-songwriter and holds a B. F. A. Honours in Music.